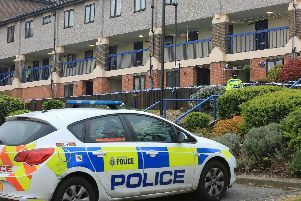 An elderly woman has appeared in court charged with murder after a pensioner was found dead in his Sheffield home. Marjorie Grayson, 83, of Orgreave Lane, appeared at Sheffield Magistrates’ Court this morning over the death of 85-year-old Alan Grayson. Grayson was remanded into custody to appear before Sheffield Crown Court on Tuesday, September 18. Det Insp Simon Palmer, the senior investigating officer, said: “Mr Grayson’s family are being supported by specialist officers during this incredibly difficult time and have asked that their privacy is respected.